ATTRIBUTES: A rare fatty fruit, avocados weigh in at about 50 calories an ounce, or more than 200 calories in the average fruit. But don't despair — the fat is mainly in the form of heart-healthy, inflammation-fighting monounsaturated fat. The Haas variety may be the most nutrient-dense. 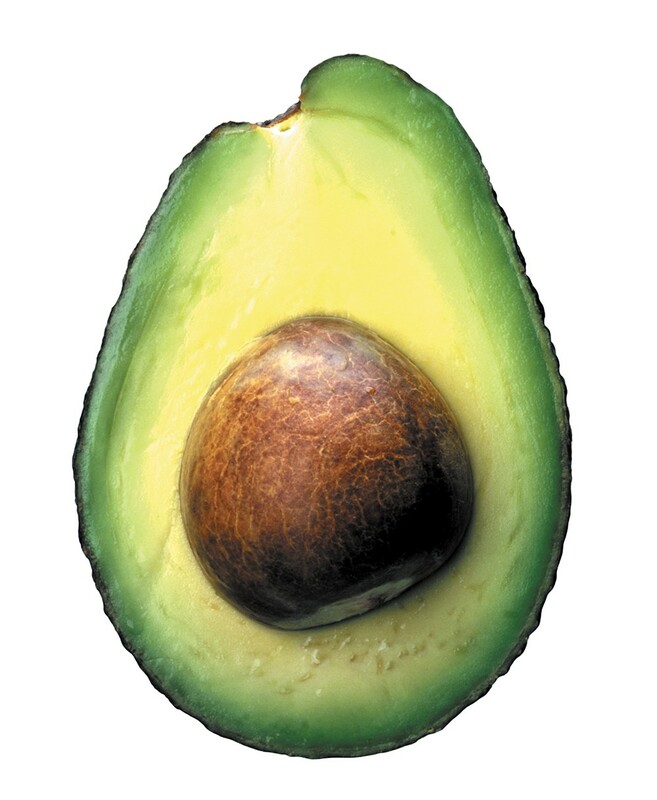 SUPER POWERS: Avocados are rich in oleic acid. They're also they're a good source of the anti-inflammatory carotenoids lutein and zeaxanthin, as well as vitamin E. Although a nutritional powerhouse on their own, avocados are a worthy sidekick for other superfoods. That's because their abundant fat can dramatically boost the body's ability to absorb nutrients from fellow nutritional top contenders, like spinach, tomatoes and carrots. WEAKNESSES: Avocados aren't ready to eat when picked. In fact, the best way to store avocados, for those lucky enough to grow them, is right on the tree, where they can stay for months after maturing. To enjoy avocados at their peak, do what the growers do and plan ahead. Allow firm fruit to soften on the counter or in a paper bag for a few days before using. A perfect avocado should give slightly to finger pressure when cupped in your hand. HOW TO USE IT: Carefully remove the avocado from its peel, retaining as much of the nutrient-rich, bright-green outer layer as possible. Use avocado instead of mayo on a burger, toss half of one in a smoothie, or add slices to a salad.